Steven H. Heisler, a Maryland attorney who represents victims of personal injury cases, believes that the $2,500 scholarship he is offering to a first-year law student could make a real difference. Supporting your local community through time and effort demonstrates good citizenship, something that should be a part of every lawyer’s life and character. Maryland personal injury lawyer Steven H. Heisler expressed his pleasure today that he will be providing one first-year law student with a $2,500 scholarship at the beginning of the academic year, in August, 2016. The scholarship is meant to encourage and support someone who has shown substantial involvement with their community. Students who apply for the scholarship must be either U.S. citizens or authorized to work/attend school in the U.S; must be starting law school in August, 2016; and must submit an essay that details the extensive community service they performed during their college career. The essay should specify the kinds of community involvement they engaged in, as well as describe how the scholarship award would foster their continued dedication to assisting others and would also advance their law career. To apply, a completed Scholarship Application Form, a copy of the Law School acceptance letter, and the essay described above must be submitted by May 1, 2016. Applicants will be judged on how long they have been involved in community service, the intensity of the dedication they show toward their community, and their ability to clearly convey a complex message in writing. Applicants can submit their information on the website of The Law Offices of Steven H. Heisler by May 1, 2016. The successful candidate will be notified by June 15, 2016. A check for the recipient’s $2,500 award, which will help defray the costs of tuition and other expenses, will be made payable to the applicable Law School and mailed by August 1, 2016. The recipient is expected to abide by all current tax laws. 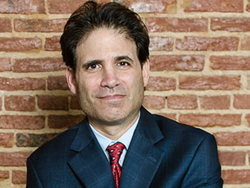 Since his graduation from the University of Baltimore Law School in 1988, Steven H. Heisler has focused on making a difference both in his community and for those who have suffered an injury in Maryland. For more information, please visit http://www.theinjurylawyermd.com/.